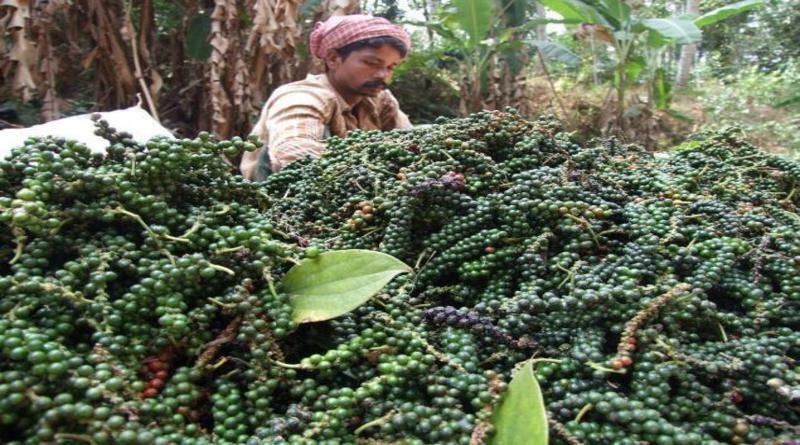 The Commerce Ministry assured a representatives of pepper growers from Karnataka, Kerala and Tamilnadu that it would take necessary actions to solve the problems of pepper growers very soon. Recently representatives from 14 grower bodies of Karnataka, Kerala and Tamilnadu recently met Commerce Minister Suresh Prabhu and Anitha Karan , Director of Plantations to request and solve their problems immediately. Coordinator of representatives said Ministry has assured that it would take certain measures to help the pepper growers. According to representatives protest, The price of black pepper which was around ₹ 650 a kg last year has dropped to ₹350 this year due to import of inferior quality pepper from Vietnam. Representatives assumed that some exporters are importing pepper from Vietnam and Indonesia through Srilanka for re-export as it coast less import duty, Instead of re-export, this unethical exporters are selling imported cheap pepper inside India for less prices,this causes Indian originated pepper to loose its prices in market day after day. Growers demanded the Minister to fix the minimum import price for pepper at $8,000 a tonne.